Some people of my group started off the day with a rather aesthetic experience. We were invited to visit the college, where one of the staff girls lives. She picked us up at Cripps Court and we went to the entrance of Clare College. 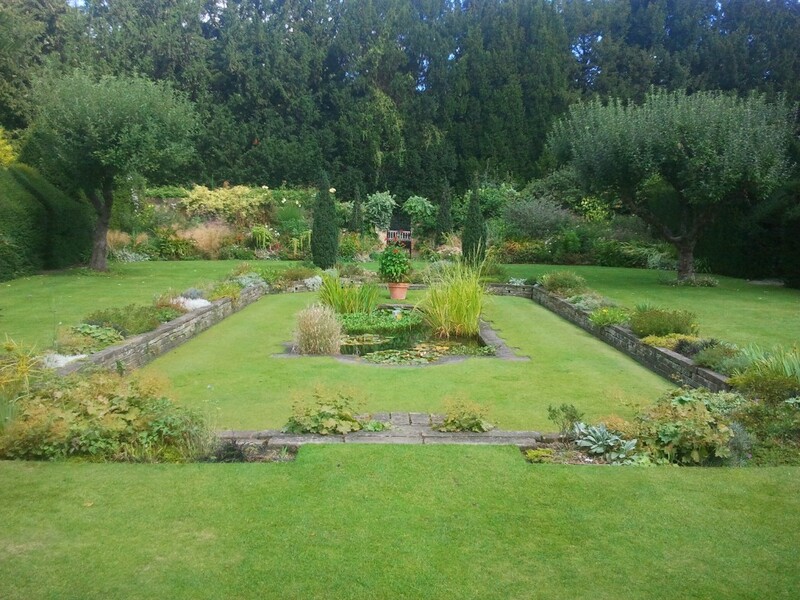 There I finally was granted to walk on the grass of an English garden and it felt tremendously. Yes, I am a bit exaggerating and for some people this might be normal, but for me it was something special. Beside the well tended grass the garden of Clare College also offered some beautiful places, where people could sit and enjoy the surrounding environment. 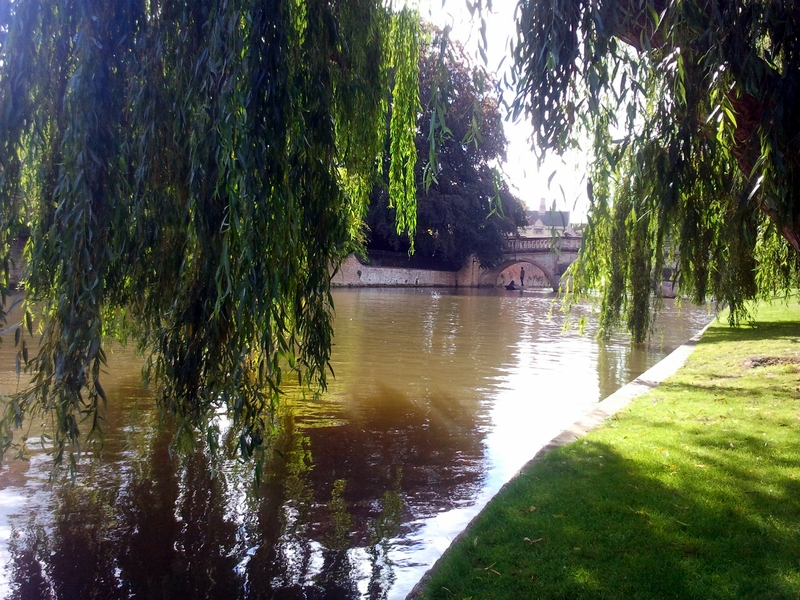 At one place at the river Cam students can read at the water and listen to the tour guides on the passing punts. According to our local guide, these guys are not always totally honest to the people in their boats. Sometimes they tend to tell them historic nonsense when they believe nobody is listening. This is bad for the people in the punts, but seems to be great fun for the people who can watch this. If you prefer to read in an environment, where not so many people pass by and watch you, the garden of Clare College offers another very nice place. In the inner part of the garden there is a rectangular area with a little pond, an apple tree and some park benches around it. It really looks like a little piece of paradise. It is calm and the only thing you hear is the noise of flowing water in the pond. Very relaxing. As we left the garden to visit the college we found out that even students of a renowned university can be the victims of superstition. There is this story that every student who passes the gate in the back of the college through the middle door is cursed and will receive a bad grade unless he or she rubs the nose of a certain bust that is situated within the college. So, after we entered through one of the side doors we visited the yard and the chapel of Clare College, where we also ended the tour. Back in my room I made some last preparations for our finial presentation, headed to lunch and met up with the other group members. The presentation was quite a success and when it was over I felt a bit relieved. Now the most serious part of this summer school was over and you could notice how all of the delegates became more and more relaxed as they all have met the formal requirements of the courses. This called for celebration. But before I did that I visited the evening talk which was about the origins of the Arab Spring and some possible scenarios of future constellations of political power in the area. I learned a lot and enjoyed the lively participation in the discussion. Finally, after the evening talk was over, we went to a nearby bar and finished off the day with cool drinks and nice chats. In short, a good day.